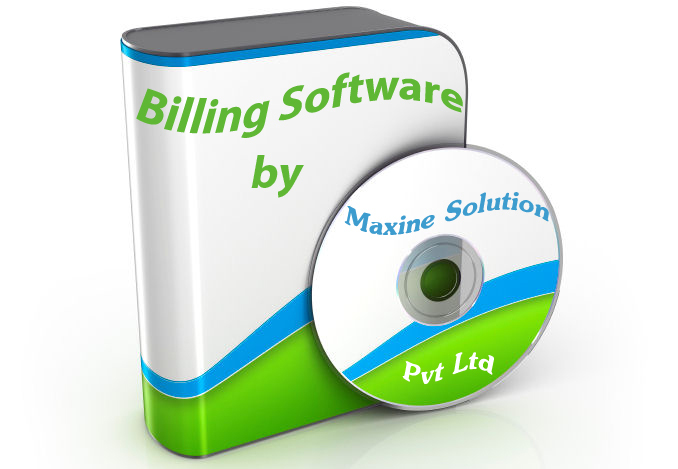 Maxine solution (P) Ltd. is known for improving performance of organizations through billing software. We implement software that suit the customer best and help in their performance enhancement. Maxine solution billing software that helps you get your bills out faster and increase your productivity Instant Invoice billing . Great and highly user friendly Interface. Run Time Preview. Automatic invoicing for regular billing. Maintain multiple services. Manage multiple billing records. Branded billing presentment - your company logo and theme. Product plan configuration. Instant Invoice billing . Great and highly user friendly Interface. Automatic invoicing for regular billing. Instant Invoice billing. Great and highly user friendly Interface. Automatic invoicing for regular billing. Adds your business logo image over your invoice. Provides password protection for your database. Exports invoice billing software documents in MS-Excel and PDF Format. A Billing software module gives a simple, efficient and cost-effective method to gain full control over invoicing processes for service industry professional. A Simple but Advanced Billing Software can be useful for all service providing organizations to meet the exact needs of their business in cost effective way. maxine solution bill is an easy to use and affordable Billing Software which works smarter than other invoice and billing software with its advanced features. It is specifically designed keeping simplicity and all service tax norms in mind. maxine solution bill streamlines your business management process with powerful and fully customized report module. It also lets you export your reports in many different ways. Also you can export all your bill and receipt vouchers to tally, so that for further accounting you can get all the reports in tally as well. It also allows your clients to see their statements and outstanding reports from anywhere, at anytime through its online panel. This real-time Billing software has a professional, reliable and secure working and no technical learning needed to operate it, So Don't delay adding automated billing for your business any longer. We offer a range of scalable billing software plans to accommodate the needs of small and medium size businesses. With our shared billing software plans we take care of the complete Instant Invoice billing, support, Maintain multiple services and Manage multiple billing records. Compare our Billing Software plans quickly in a comprehensive chart and find out which plan is best suited for you.